Gold medalist from Indian Institute of Management. He did his research on Yoga from Swami Vivekanand Yoga University, Bangalore. Adhia belongs to Gujarat, and is, in fact, one of the few prominent Gujarati officers in the state bureaucracy usually dominated by babus of North and South India. In 1990s, he was on a Central deputation working as deputy secretary and then director in industry ministry. Then, he went on a foreign posting for United Nations Industrial Development Organisation (UNIDO). He also served as MD in Gujarat Industrial Investment Corporation and executive director in Sardar Sarovar Narmada Nigam Ltd. 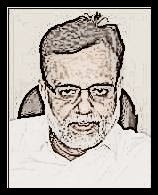 Between 2004 and 2006, Adhia was the principal secretary to the then CM Modi. He was also the principal secretary in Gujarat’s education department. He has written a number of articles in leading newspapers and also published papers including “Inventing government through HRM Strategies” (2007) and “My Note to Myself” (2008).